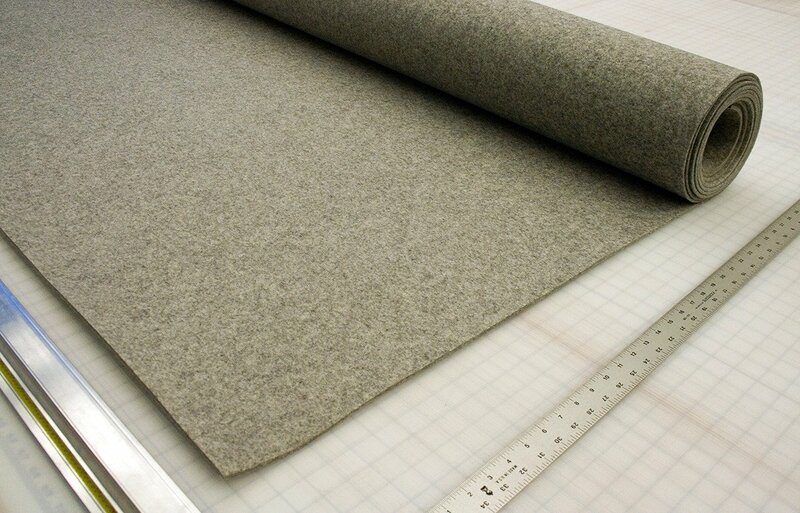 FilzFelt carries German-milled 100% Wool Design Felt and felt products in 63 colors and five thicknesses. 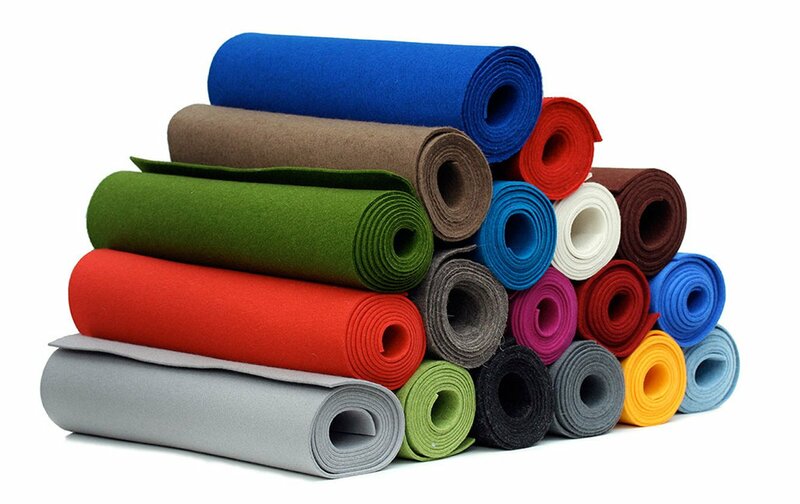 A biodegradable and renewable material, wool felt is moisture resistant, self-extinguishing, and known for its thermal and acoustic insulation properties and its highly saturated and lightfast colors. Wool is a natural fiber harvested from sheep. Sheep's wool is highly regarded for its crimped, elastic fibers that are easily felted to form a fabric that cannot be pulled apart. This translates into durability, excellent dye ability, resistance to flame and compression, and thermal and sound insulation. Plus, this natural fiber is a rapidly renewable resource (it grows back!) and is 100% biodegradable. FilzFelt's felts are manufactured from Merino wool that is typically sourced primarily from Australia, New Zealand, and South Africa. Merino sheep are prized for their fine hair and considered to be the highest quality sheep's wool. 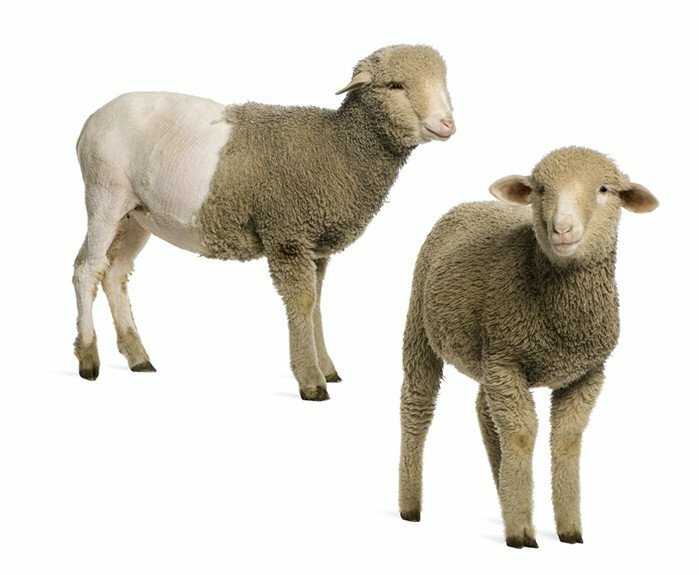 Most sheep are sheared once a year (in spring or early summer) as it takes a full year to grow back. Acrylic: Synthetic content sold as craft felt - think Kindergarten class! Wool felt is one of the oldest man-made textiles. To produce felt, raw wool undergoes a wet felting process that involves matting, condensing and pressing the fibers. Felting is the natural characteristic of most animal fur to entangle and form matts. Wool is particularly well suited to felt and is superior to synthetic fibers. Characteristics include an inherent durability and resilience as the crimp or bend in the fibers gives it a natural elasticity. Such flexibility makes it durable and the outer skin of the fiber acts as a protective film, providing abrasion resistance. Lanolin, the thin waxy coating on wool fibers, makes wool naturally water and soil resistant. Wool readily accepts natural dyes as they can penetrate the core of the fiber and undergo a chemical reaction making the color change permanent and intensely saturated. Plus, because wool retains moisture in every fiber, it resists flame without chemical treatment. Instead of burning when touched by flame, wool chars and self-extinguishes when removed. Yes! All of the above. 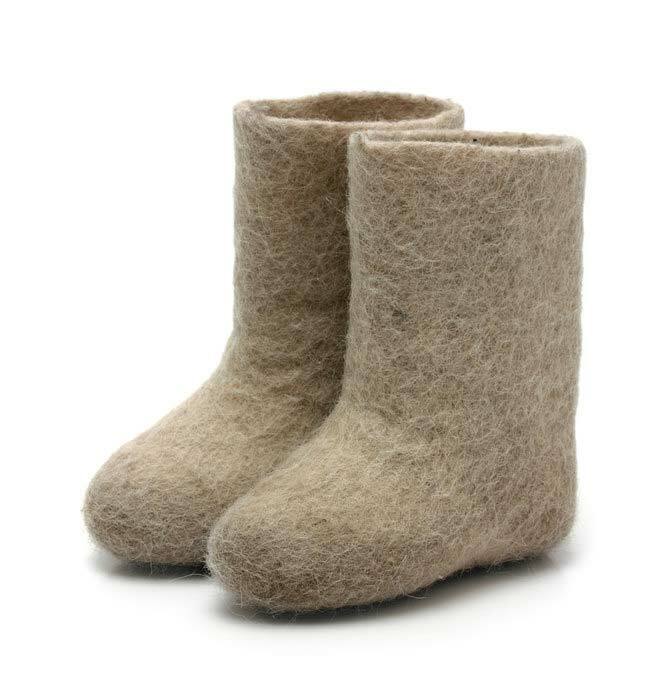 Wool felt is a natural product. 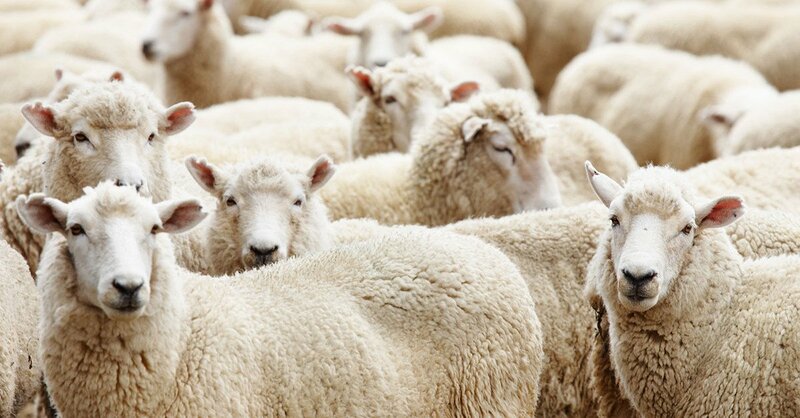 The processing of wool requires very little environmental impact compared to other natural fibers or man-made fibers. Felt has a life cycle that is substantially longer than other upholstery material. And since wool felt is made of sheep’s wool and viscous staple fibers, this means that after the felt product has been used or become worn out, it can be safely disposed of as it is 100% biodegradable. How about LEED? Wool Design Felt qualifies for LEED® certification as MR Credit 6.0 Rapidly Renewable Resource as the sheep's wool is harvested in a sustainable manner as the hair grows back! And even better, FilzFelt felts have tested and certified to meet the human-ecological requirements of the standard presently established for products with direct contact to skin according to Product Class II of Oeko-Tex® Standard 100. Sheep are free roaming animals and vegetable matter can be caught in their fleece. Washing and carbonizing removes some of this debris, however, color variation and inclusions of natural fiber on the surface are evidence of 100% natural origin of the material. This variation in color and thickness between dyelots and within felt bolts can be attributed to the natural occurrences of the natural color of the raw wool and absorption of the dyes. 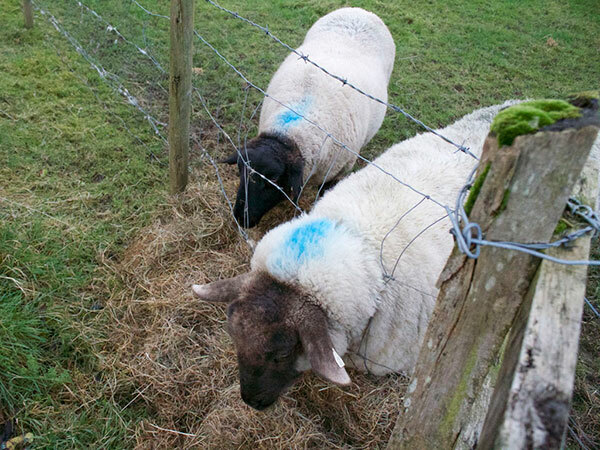 In addition, sheep may be marked with pigment for various reasons including isolation for illness or breeding. Colors that include any non-carbonized (washed) wool content may retain these pigments as pink or blue dots. This condition is most apparent in natural colors, however, may be visible in uni and melange colors where the felt may appear lighter or darker. Since felt is a nonwoven fabric and does not require a loom for its production, ancient people were able to produce it quite easily. Felting of animal hair has been a means of creating clothing, shelter, and artistic expression since at least 700 BC. Saint Clement is the patron saint of hat and felt makers and legend states that he discovered felt by packing his shoes with wool to avoid blisters and after time discovered that the wool had changed form due to the moisture and agitation. And so wool felt was born! The earliest written record of wool felt occurs during the Roman period in Homer's Iliad where it is stated that Odysseus wore a helmet lined in felt. Romans and Greeks are known to have used wool felt for clothing, armor to protect themselves from arrows, and for footwear. Other groups known to have used wool felt are the Chinese for sleeping and ceremonial mats, felt caps, fashionable clothing, millinery items including felt tents and tall boots as part of uniforms. Iranians and Turks used wool felt extensively for mobile homes and carts covered in felt tarps, containers including bags and pouches, clothing, and to provide warmth within their homes. Generally wool felt was appealing to nomadic cultures as it was easily attainable, lightweight, and durable. Describing the nomadic Mongolian people, Marco Polo wrote in the 13th century about their circular houses made of felt that they "took wherever they go". This group of people used felt to aid with their transitory lifestyle including yurts (tent-like structures with wool felt as the cladding), wagon covers, blankets, carpets, and hats.